One of the world’s most-watched news networks is at the center of a geopolitical rift between a Saudi-led bloc and the broadcaster’s funder, Qatar. 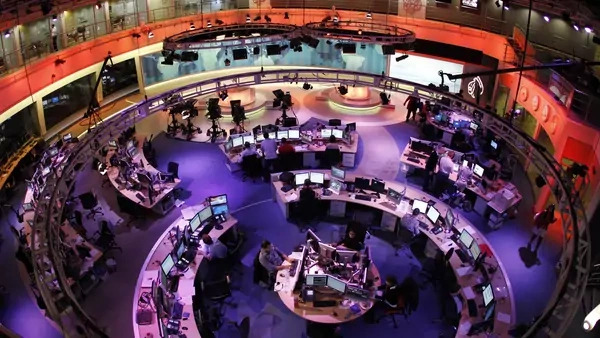 A Saudi-led bloc has demanded Qatar shutter Al Jazeera, the global news broadcaster it sponsors, as one of its conditions for restoring diplomatic relations and lifting an embargo after breaking ties in early June 2017. Qatar rejects the demand along with the bloc’s other conditions. The broadcasting giant, which has given Qatar outsize influence in the Middle East and beyond, helps the small Gulf emirate buck the foreign policies of its larger partners in the Gulf Cooperation Council (GCC) and beat an independent path. Thus, Qatar has refused to shut down what it sees as an extraordinary source of soft power. When was Al Jazeera founded? Sheikh Hamad bin Khalifa al-Thani founded Al Jazeera in 1996, a year after he deposed his father in a bloodless coup. Sheikh Hamad sought to free Qatar from being subordinate to Saudi Arabia, the GCC behemoth, by developing ties with Iran and Israel, as well as with Islamist political groups such as Hamas, and casting itself as a mediator of regional conflicts. 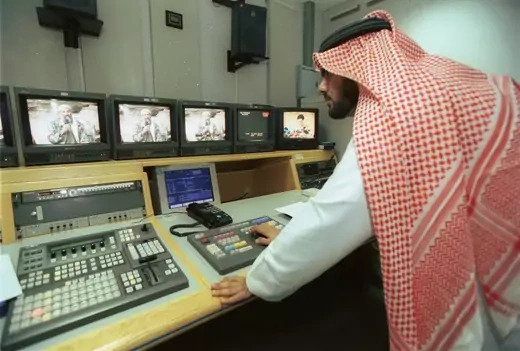 Sheikh Hamad believed that a television news network targeting a pan-Arab audience with bold programming and investigative journalism would advance this independent streak, bypassing regional governments to give a Qatari point of view entry into Arab homes. His son, Sheikh Tamim bin Hamad al-Thani, has carried on this independent foreign policy. Al Jazeera was launched as satellite dishes proliferated throughout the Middle East and North Africa, enabling Arab publics to circumvent state controls on television, and the upstart built up its newsroom by hiring the staff of a fledgling Arabic-language network the BBC abandoned after Saudi Arabia removed the station from satellite transmission. The network “was pretty much standing alone with high production values, which viewers in the region were not used to seeing, and most importantly, it was an Arab station covering Arab events,” setting it apart from the BBC and CNN International, says Philip Seib, a professor of communications and international relations at the University of Southern California. Al Jazeera has sought to supplant the region’s ubiquitous state-controlled outlets with reporting that challenged official narratives and programming that featured plural viewpoints. The network’s reporting was often critical of governments across the region, highlighting social issues scarcely covered by state media and giving voice to dissidents. It broke ground in Arab media by airing Israeli and Iranian points of view while also giving a platform to anti-Semitic and anti-Shia rhetoric. Though it avoids covering Qatar’s rulers with the same scrutiny it applies to other governments, Al Jazeera isn’t a mouthpiece for Qatar. By providing an alternative to state media, the network may have helped Qatar earn goodwill from Arab publics that disapproved of aspects of Qatari foreign policy, media and regional experts say. “As a welcome voice viewed by Arabs as reflecting their own aspirations, Al Jazeera helped protect the Qataris from intense criticism for being a pro-American emirate that hosted a base for American airplanes attacking Iraq,” wrote Shibley Telhami, a U.S.-based scholar of Arab public opinion, of the early 2000s. That base today is the regional headquarters for U.S. Central Command and is used by warplanes bombing eastern Syria and western Iraq as part of the U.S.-led coalition combating the self-proclaimed Islamic State. How large is its audience? With its expansion into English and other languages, Al Jazeera says it now broadcasts to 310 million households in more than one hundred countries—a figure that puts it in league with CNN and the BBC. Telhami estimated that its regional audience comprised 350 million people across twenty-two countries. “Within ten years more than three-quarters of Arabs identified Al Jazeera as being either their first or second choice for news,” Telhami wrote. The Saudi royal family launched a news network of its own, the Dubai-based Al Arabiya, in 2003. Its reporting hews more closely to official Saudi and Emirati interests, such as positive coverage of Egyptian President Abdel Fatah al-Sisi, who Al Jazeera has covered critically. The two networks are close competitors for audience share. But if Al Jazeera no longer predominates in the region’s news consumption, it is because of broader market and technological trends, Seib says. Expanding internet access has given rise to numerous smaller outlets, and countries with relatively strong press freedoms have local television networks that cater to various political inclinations. Al Jazeera made its reach global with the launch of an English-language network in 2006, challenging global upstarts like the BBC by promising to be “a voice for the voiceless” with extensive coverage of the global South. Altogether, the broadcaster employs some 4,500 people after layoffs in 2016 at its Dubai headquarters and in more than seventy bureaus around the world. Al Jazeera expanded into U.S. markets with the launch of Al Jazeera America, shortened as AJAM, in 2013. The venture produced investigative work on communities that received little coverage elsewhere, but it struggled to get cable distribution, among other obstacles. Meanwhile, young American audiences were increasingly turning to the web for news, where AJAM had curtailed its presence to try and win over major cable providers. Amid declining prices for liquid natural gas, the main revenue source for Al Jazeera’s backers, the network closed the expensive operation less than three years later. Why has it antagonized Gulf monarchies and Egypt? The coverage that made Al Jazeera popular with Arab publics has been viewed as an irritant, or even a threat, by many of their rulers. Saudi Arabia severed diplomatic ties with Qatar in 2002 for Al Jazeera’s coverage of the country and only restored an ambassador to Doha five years later, reportedly after Qatar pledged to tone down Al Jazeera’s critical reporting. The Saudi-led bloc says its objections to Al Jazeera stem from what it calls incitement to terrorism. It cites Sheikh Yusuf al-Qaradawi, who is considered a spiritual leader of the Muslim Brotherhood and is accused of advocating violence on his long-running talk show. Various countries have sought to block the network’s reporters from working within their borders or their publics from viewing its programming. The Arab uprisings in 2011 exacerbated many of these tensions. The Arab uprisings in 2011 exacerbated many of these tensions. Al Jazeera’s coverage of the uprisings gave voice to dissidents and conveyed the often-violent crackdowns on protests. This coverage helped catalyze the protests, which cascaded across the region. Al Jazeera came under particular scrutiny in Egypt after Sisi deposed Mohammed Morsi, the Muslim Brotherhood leader who was elected in Egypt’s first post-uprising presidential election. Al Jazeera’s reporting, Sisi believed, promoted democracy generally, and especially the Muslim Brotherhood, which he had deemed Egypt’s top public enemy. Amid a broader crackdown on the press, Egypt under Sisi has blocked transmissions of Al Jazeera’s Egyptian network, imprisoned its journalists, and shuttered its bureaus. Some experts see the Saudi-led bloc’s recent demands as less about terrorism than about rolling back what remains of the democratic gains achieved by the Arab uprisings. Emboldened by supportive messages by U.S. President Donald J. Trump, they are trying to consolidate a counterrevolution across the region. Will pressure to close Al Jazeera continue? Qatar made clear in its rejection of the Saudi-led bloc’s demands that it considers shuttering Al Jazeera a nonstarter for negotiations. Media critics say that Al Jazeera’s coverage of the Arab uprisings reflected Qatar’s official preferences. In many countries that experienced protest movements, Qatar backed Islamist opposition groups, and later militias, particularly those affiliated with the Muslim Brotherhood, with which Qatar had long cultivated ties. Qatar wanted to curry favor with the groups it saw as likely to be ascendant in the new order, and its backing, in turn, may have tipped the scales in their favor. But regimes like those of Saudi Arabia and the UAE saw the populist brand of Islamist politics that groups like the Muslim Brotherhood advocated as a rival claim of political legitimacy that threatened their own nondemocratic systems. With Saudi Arabia alleging that Qatar has reneged on previous agreements to cease supporting the political groups it objects to, the impasse appears poised to continue despite U.S. Secretary of State Rex Tillerson’s attempts at mediation. Hugh Eakin looks at Qatar’s anomalous foreign policy at the start of the Arab uprisings. The Committee to Protect Journalists and Freedom House monitor media freedom in the Middle East. Saudi Arabia’s campaign against Qatar has backfired, argue Bassima Alghussein and Jeffrey A. Stacey. Could A Coalition of the “Friends of Turkey” Ride to Turkey’s Financial Rescue?